2:30pm – 6:00pm (w/canvass), Rochester Commons, 4 Gonic Rd. Ady Barkan has been a hero in my mind for a long time. Before he began his battle with ALS, otherwise known as Lou Gehrig’s Disease, and started touring across the country with a mission to fight for health care justice and restore democracy to our country. Before he started asking all of us to be heroes, to get out and rally, and get out on doors to turn the tide in this year’s midterm elections. 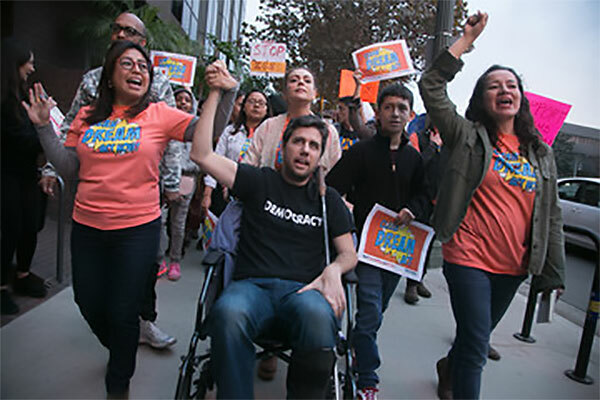 Before he famously confronted Senator Jeff Flake last year about his vote on the Republican tax bill, and joined Rights & Democracy (RAD) members and our counterparts all over the country to go to Washington, DC and fight the corruption in Congress and stand up for our rights to health care and economic security. That’s why I’m excited for Rights & Democracy (RAD) to host him in Vermont and New Hampshire for Bistate Be a Hero tour. I started working with Ady back in 2013, when in his role at the Center For Popular Democracy (CPD) he was supporting early efforts to win paid sick days in Vermont—which we won in 2016! I found him to be a brilliant strategist who had a strong handle on the big picture of what was important. He helped start two programs that he directed, Local Progress and the Fed Up Campaign. Local Progress is a powerful network of hundreds of progressive local elected officials from across the country who are committed to advancing economic prosperity, equal justice under law, livable and sustainable communities, and good government that serves the public interest. Fed Up is a national campaign that focuses on two critical issues, pushing for full employment and a reformed Federal Reserve. I believe Ady is a national treasure. He is using his brilliance and an unbelievable amount of determination to fight for a better country until his last breath. I’m so proud we can help him finish his powerful nationwide Be a Hero tour that started in the West Coast and ends in Northern New England. 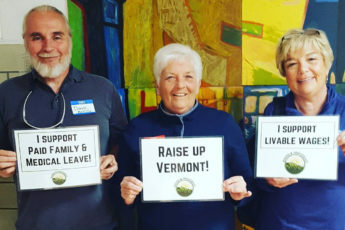 In Vermont, come join Ady, special guest Senator Bernie Sanders and hundreds of RAD members across the state to be part of the movements for health care justice and creating a stronger democracy. In New Hampshire he will be help inspire us to get out and knock on tens of thousands of doors to build our democracy to reverse the attacks on health care programs and the massive tax cuts for billionaires. Please watch these two videos of a father, an organizer and a leader who inspires us all to be heroes. #BeAHero.